Amelia basic was created by Martin Sommaruga. This font is from Amelia Family . 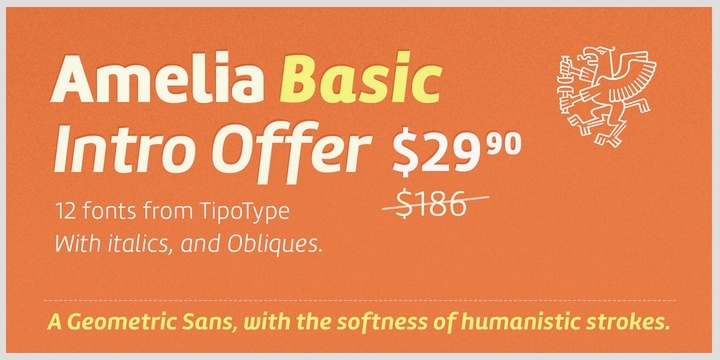 Amelia Basic font is a geometric sans, but it keeps the softness of humanistic strokes. Price: $29.95 from $186.00 all fonts.